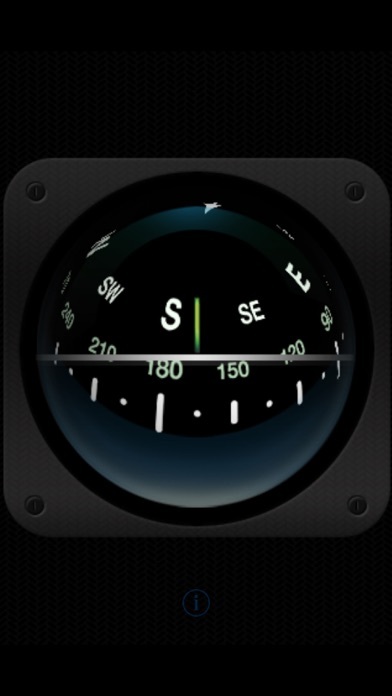 But the compass moves in a jittery fashion, rather than smoothly on my iPhone 4 with iOS 5. Good looking display. 5 stars if the jitters are fixed. 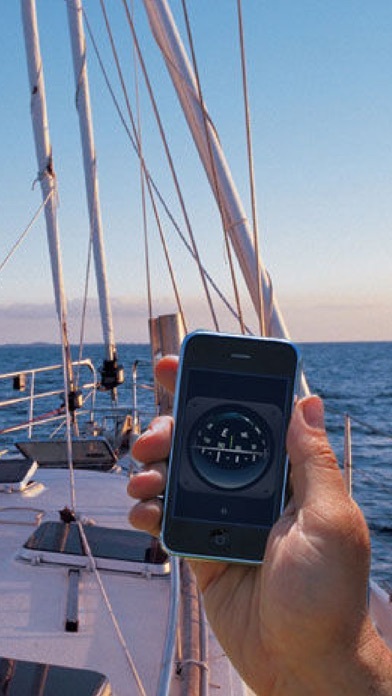 If you are looking for a 3D gimbal compass, try Marine Compass. Needs Retina display and gyro support for iPhone4. Crashes with new update when trying to change skin. Nice look, though no more functional than the stock iPhone compass (maybe less). As a sailor, I appreciate the appearance of this compass interface -- graphically, it's well-executed, and it has a more intuitive look when you're holding the iPhone vertically. But bear in mind that all you get with this app is a different look. Horizontal or vertical, it gives you exactly the same the compass reading you'll get the from the compass app that was included with the iPhone -- and the stock compass also gives you handy digital bearing readout (which this one doesn't). Unless you have a 3G iPhone, as your purchase and download will work fine, but the app is only campatable with the newest iPhone. This app shares the same tragic flaw as the Apple compass: There is no visual indication as to whether the thing is pointing to true north or magnetic north. Either Apple or these guys are going to get someone killed. This app goes Apple one step worse: It demands to use your GPS coordinates even when you are using magnetic north, thereby seemingly indicating you are, in fact, using true north when you're not. Cute but deadly. This app needs a way to correct for magnetic variation (declination). Could use gps to do this automatically (based on your location).